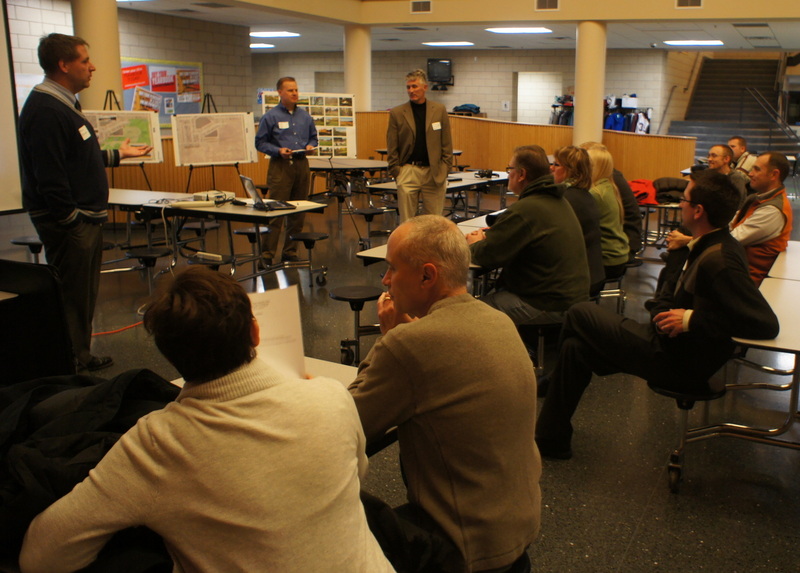 I attended the BikeNorthfield steering committee meeting at the Northfield Public Library last night, as the agenda (PDF) included a discussion with City staff leaders (City Administrator Nick Haggenmiller, City Engineer/Director of Public Works Dave Bennett, and Engineering/GIS Technician Jasper Kruggel) about two upcoming street improvement projects that concern bicyclists: 3rd St. & Hwy 3; and Woodley St from Division to Prairie. There may not be an obvious connection between CROCT’s mission and the current activities of BikeNorthfield (a link to their Facebook page). 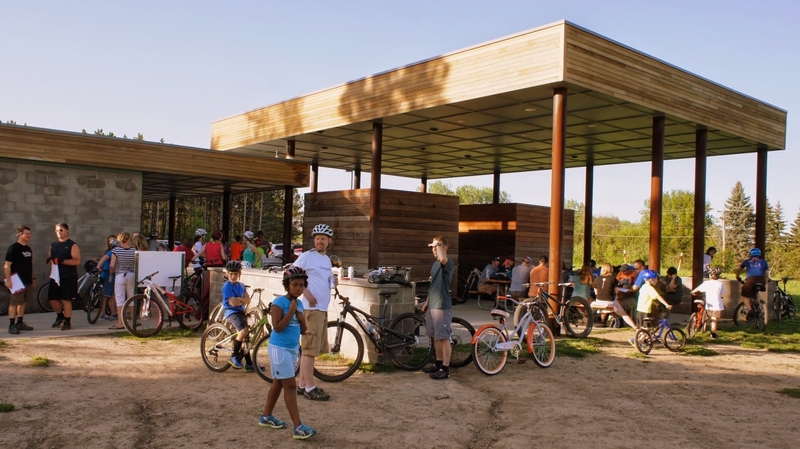 But our Sechler Park MTB trail is popular in part because it’s directly connected to the City’s paved trail through Riverside Park and across the Peggy Prowe Pedestrian Bridge. Our discussions with the PRAB could lead to the establishment of mountain bike trails and skills parks in several other City parks, in which case, extensive street and local paved trail networks are increasingly important so that off-road cyclists of all ages can ride safely to and from the dirt trails and bike parks. 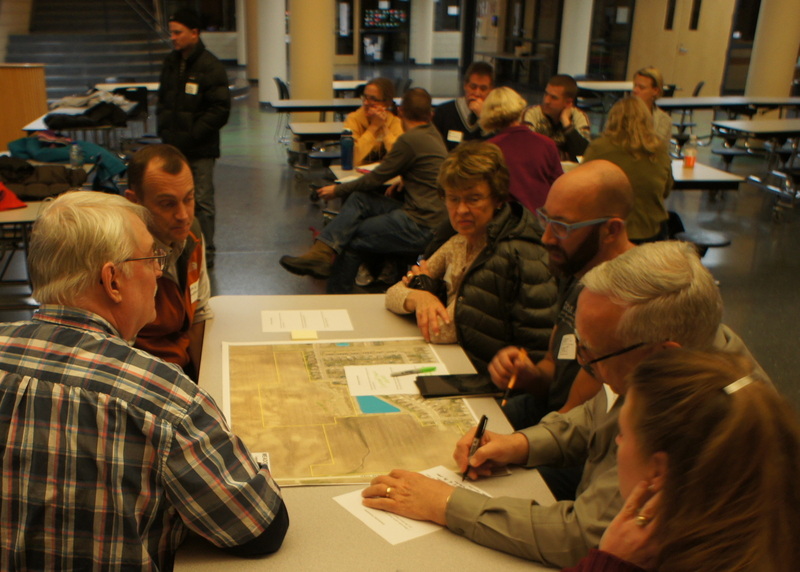 Could mountain biking be part of Northfield’s new Meadows Park? Back in the summer of 2013, I blogged on Locally Grown Northfield about the mountain biking-related possibilities for Northfield’s new Meadows Park. 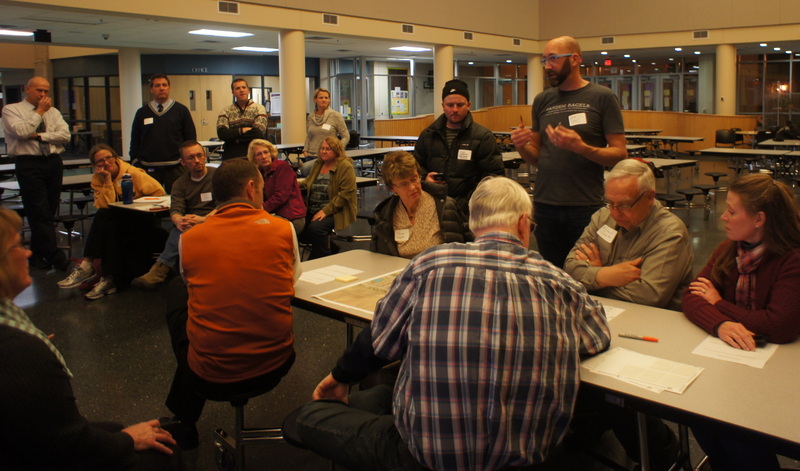 So it was pretty cool to attend the City of Northfield‘s Meadows Park community planning meeting at the Northfield Middle School on Wednesday night and have mountain biking be mentioned by the consultants (Paul Miller Design and SRF Consulting) as one of the possibilities under consideration. 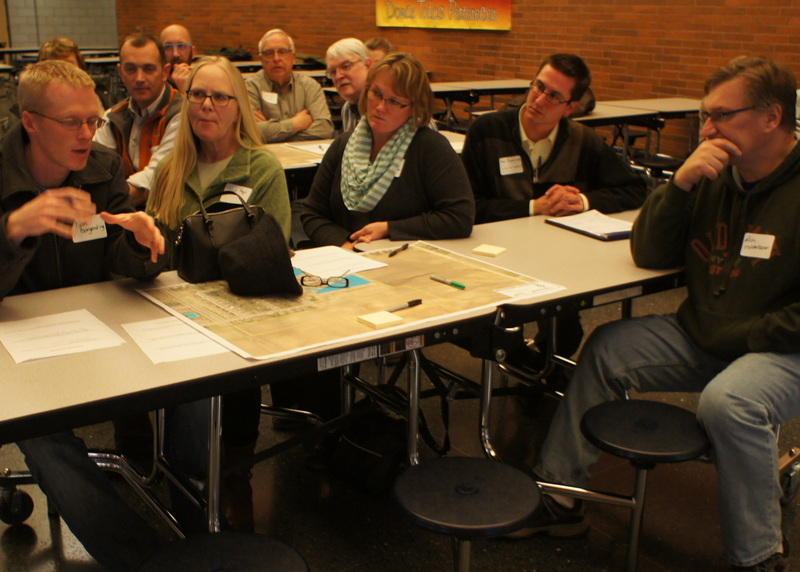 Even better, there was some support for it from citizens at the small group discussions, helped along by participation from fellow CROCT members Marty Larson and Scott Klein. After the meeting, we had some informal discussions with Ward 2 Councilor David DeLong, At-Large Councilor Rhonda Pownell, and PRAB Chair Dale Gehring, as well as City Administrator Nick Haggenmiller, Community Planning and Development Director Chris Heineman, and Interim Public Works Director/City Engineer Brian Erickson. a pavilion area with bathrooms, changing facilities, picnic tables, grills, water fountains. 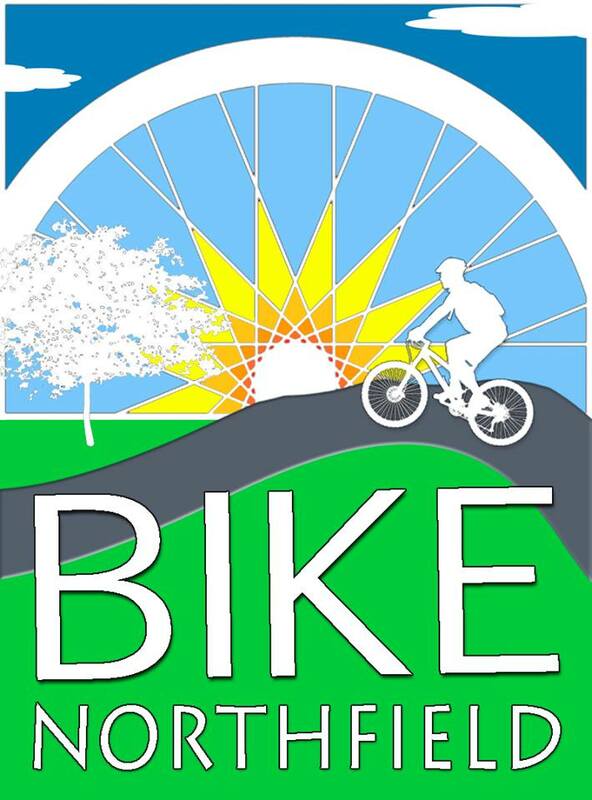 See the West Trailhead facilities page for Dakota County’s Lebanon Hills MTB Park for a good example. 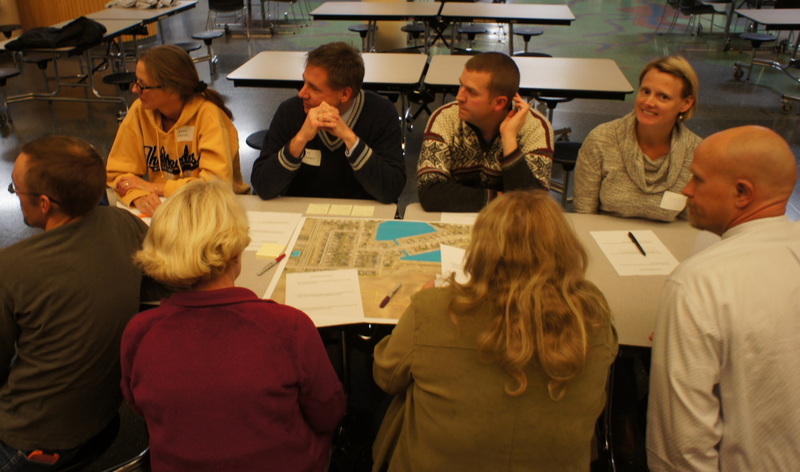 The next Meadows Park community meeting will be on Jan. 21.